Theodosius I, Roman emperor in the East from 379 to 392 and then emperor in both the East and West until 395, initiated an official policy of intolerance to paganism and Arianismin 380. In 391, in reply to Theophilus, the bishop of Alexandria, he gave permission to destroy Egyptian religious institutions. Christian mobs obliged by destroying the Library of Alexandria, the Temple of Serapis, and other pagan monuments. That old chestnut again. It continues, describing Hypatia's death at the hands of a Christian mob in 415. The existence of any strictly philosophical works by her [Hypatia] is unknown. Indeed, her philosophy was more scholarly and scientific in its interest and less mystical and intransigently pagan than the Neoplatonism taught in other schools. Nevertheless, statements attributed to her, such as “Reserve your right to think, for even to think wrongly is better than not to think at all” and “To teach superstitions as truth is a most terrible thing,” must have incensed Cyril, who in turn incensed the mob. Fables should be taught as fables, myths as myths, and miracles as poetic fancies. To teach superstitions as truths is a most terrible thing. The child-mind accepts and believes them, and only through great pain and perhaps tragedy can he be in after-years relieved of them. In fact, men will fight for a superstition quite as quickly as for a living truth--often more so, since a superstition is so intangible you can not get at it to refute it, but truth is a point of view, and so is changeable." Unbelievably when Lynn Osen's wrote her "Women in Mathematics" she accepted Hubbard's invented stories about Hypatia as fact and included them in her book. Hence one finds them sprinkled over the internet as primary source material. So to recap, what the article written for the Encyclopaedia Britannica is trying to argue is this. 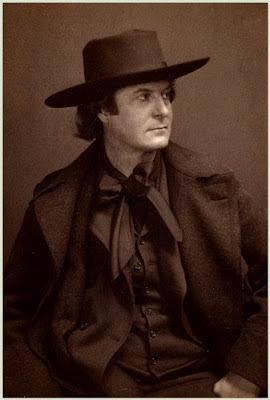 Statements made up by Elbert Hubbard in the early 20th century and attributed to Hypatia must somehow have echoed back in time (presumably through some kind of quantum leap) and got through to Bishop Cyril in Alexandria, thus incensing him to whip up the mob that killed Hypatia. I have stood up for Britannica in the past but now I think I would sooner trust Wikipedia. At least there I can edit the mistakes out. I've become suspicious of Britannica myself, after finding some dodgy-looking stuff from it being offered as an 'authority' in Wikipedia. I am the holder of a Master of Library Science Degree. In Reference class, it was drilled into us: "Don't unhesitatingly trust any reference sources, ESPECIALLY BRITANNICA." Brit's errors have been notorious among librarians for years. There was even a book published on the subject back in the Sixties. But the myth of its omniscience is so deeply set that it's hard to get people to look past it. I was brought up to believe it was infallible. Now I know better. Wikipedia, with a 97% share of the online encyclopedia market, has forced Microsoft to shut down Encarta. How long will it be before Wikipedia claims the prize scalp of Encyclopaedia Britannica? Over the next year or so we will see the continued demise of Britannica as it becomes ever less relevant in a free market, Wikipedia-dominated landscape. Man I must be out of touch. Have you (could you) informed Britannica of their error? I cannot believe they wouldn't be amenable to valid corrections, if only on the online site. Yeah, I should probably do that instead of whining about it here. I see if there is some kind of submission form or something. Ok, I have sent a 'comment' through their system. We shall see if they take any notice. There are two posts for the price of one; you'll get to repost this when the movie comes out next year. Thank you for your comments concerning our article on Hypatia. Upon review, our editors agree that the entry is problematic. We have decided to commission a new article on the topic, and we will ask the author to address the issues you have raised. Thank you for bringing them to our attention. We appreciate your interest in Britannica. Comment : The article reads " statements attributed to her, such as "Reserve your right to think, for even to think wrongly is better than not to think at all and "To teach superstitions as truth is a most terrible thing, must have incensed Cyril, who in turn incensed the mob." These quotes only appeared for the first time in a book published in 1908 by Elbert Hubbard called 'Little Journeys to the Homes of Great Teachers'. 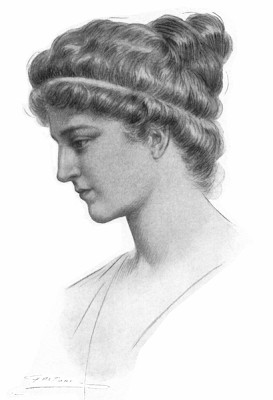 Hubbard wrote a highly fictionalised essay on Hypatia which was interwoven with his own comment and satire. Hubbard also made up such details as her height, weight and invented several quotes which happen to be the ones above. So to recap, the article argues that statements made up by Elbert Hubbard in 1900s and attributed to Hypatia went back in time to Bishop Cyril, thus incensing him to whip up the mob. This seems implausible. ...wow! Never thought Britannica had any sort of feedback mechanism like that. Good show, Humphrey!